This is the text of an article that I wrote for the Kingston Whig Standard – November 29, 2013. 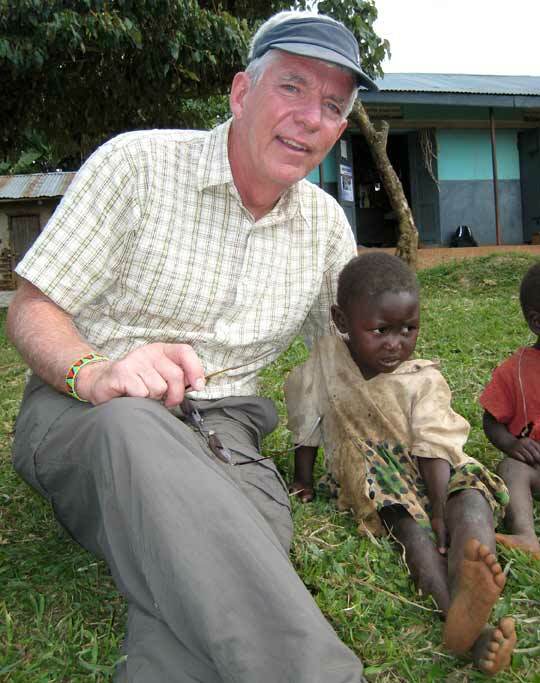 Over the past several years, I have documented my travels in East Africa in the Kingston Whig Standard. Those who have followed this journalistic safari will know that it has led me to be actively involved with the CanAssist African Relief Trust, a Kingston-based registered charity that funds infrastructure projects in Kenya, Uganda and Tanzania. You may also recall me telling about a little girl named Rose that really started this all for me. Let me recap. In 2006, I was traveling with some McGill students in Uganda and we chanced upon a little waif sitting by the side of the road in a small rural trading centre called Ibura. The child looked sad and unkempt and she had a large open sore that was swarming with flies on her left leg. The students were dismayed and wondered “What can we do for this child?” In short, there was not much that we could do. I dressed the wound on her leg and we assured ourselves that there was, indeed, some family that were in the village. But we felt uncomfortable heading back to our field station for lunch, knowing that this child and many others like her, were struggling to survive. In 2008, Rose did not look well. I had brought her a photo from the year before. She needed care, not photos. In April 2008 we started the CanAssist African Relief Trust. Unicef statistics in 2006 indicated that more than 11% of children born in Uganda would die before their fifth birthday. 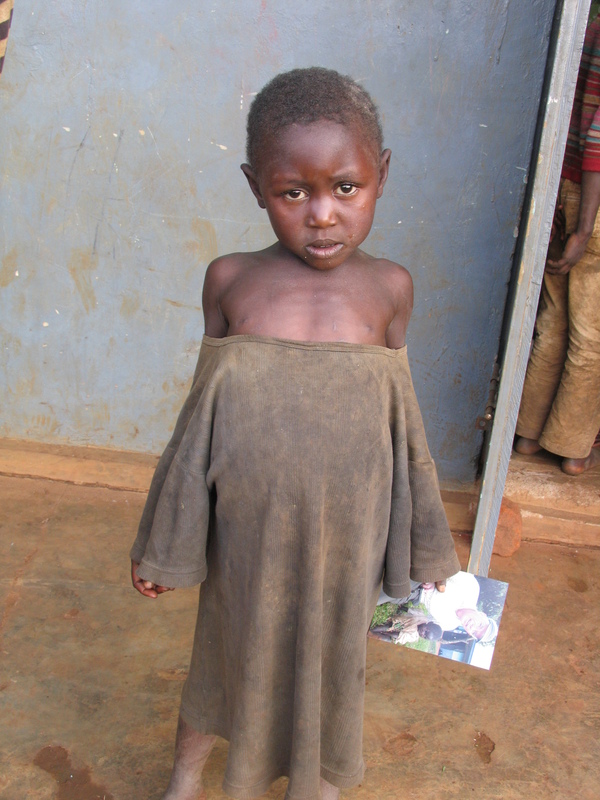 Would this child, obviously unwell and having minimal care be one of them? The reality is that there are thousands, if not millions, of children in Sub Saharan Africa who live in vulnerable situations. Poverty and the scourge of HIV that overwhelmed the continent at the end of the last century left many children orphaned and bereft. It would be relatively simple to pick one of these children to support with money for school, food and security. But which one do you pick? When you are in a town like Ibura, you need only look around to realize that there are many, many children who could use your assistance. My solution was to establish the CanAssist African Relief Trust. CanAssist funds sustainable, tangible infrastructure projects in vulnerable communities. We respond to requests for support from community leaders of all sorts and since our inception in 2008 we have provided over $300,000 directly to East Africa to fund construction of wells, latrines, classrooms, community gardens, income generating supplies, school desks and solar systems. As a registered charity we are able to provide income tax receipts for donations and we have received support from Canadians in Kingston and across Canada to help us do this work. Now what does this have to do with little Rose? Well, in addition to helping other communities, CanAssist has helped to equip a health facility near her village and provided a motorbike for the community nurse to do outreach health education, treatment and immunization. Just last month CanAssist supporters provided money to repair a well in Ibura that will now provide clean water to the community and particularly to the elementary school close by. And what became of Rose? Rose in 2013. A survivor. I have returned to this community five times since that initial visit and each time I don’t rest until I have found this child. Sometimes it has been a challenge but eventually with some help from other community children I locate her. In 2009, both her parents died of AIDS. This likely explained why she and her siblings always seemed so unkempt and neglected. She eventually has become under the care of grandparents – the frequent story that grandmothers are being left to care for their many grandchildren as the middle generation has been decimated by HIV/ AIDS. Eventually, each time, I have found her. The most recent “visit” – which is only a few moments each time – was in September. 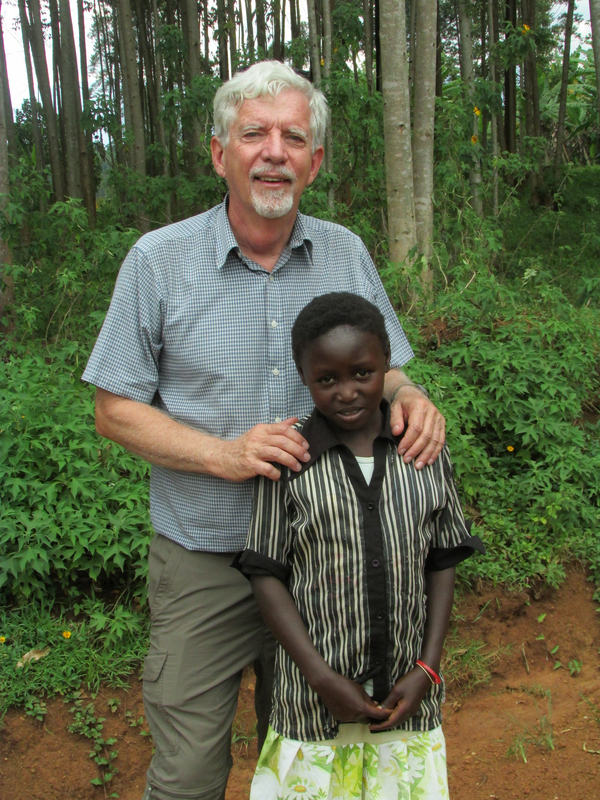 She is now 11 years old and attending the school where CanAssist has just repaired the well. Rose would likely be surprised to know how much that chance meeting on the road several years ago has influenced my life since then. I am glad to know that she now looks healthy, receives some care from the local clinic if necessary, attends school and now has access to clean water. But I am also happy to know that, through the gifts from CanAssist donors to her village, other children and adults benefit as well – our Canadian community helping a vulnerable community in Africa. There are promising predictions that Africa will start to grow economically and eventually become self-sufficient and productive. In the last ten years as I have visited East Africa I have seen encouraging growth and improvements and been impressed by the capability of community leaders to work to solve problems. In the meantime, however, there are millions who still need some help to get to this first step on the ladder of wellness. 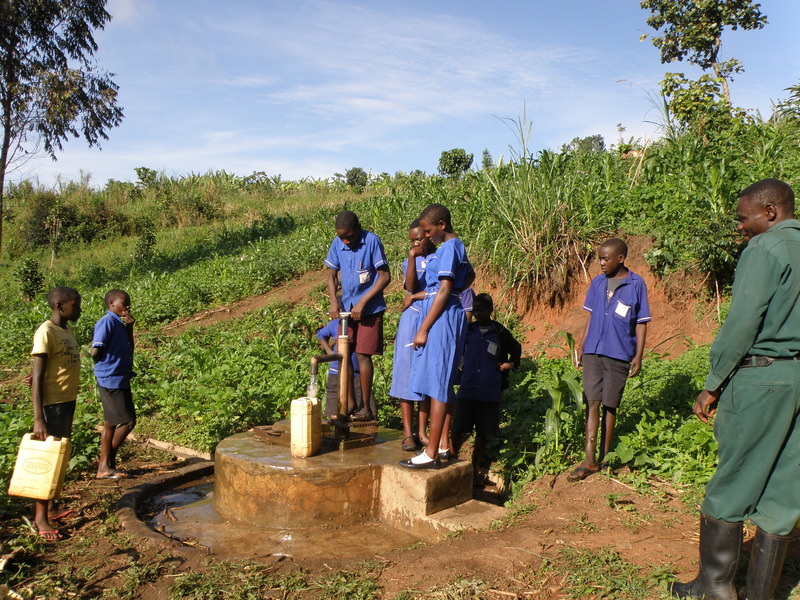 The CanAssist-refurbished well in Ibura now supplies clean water to Rose’ school.